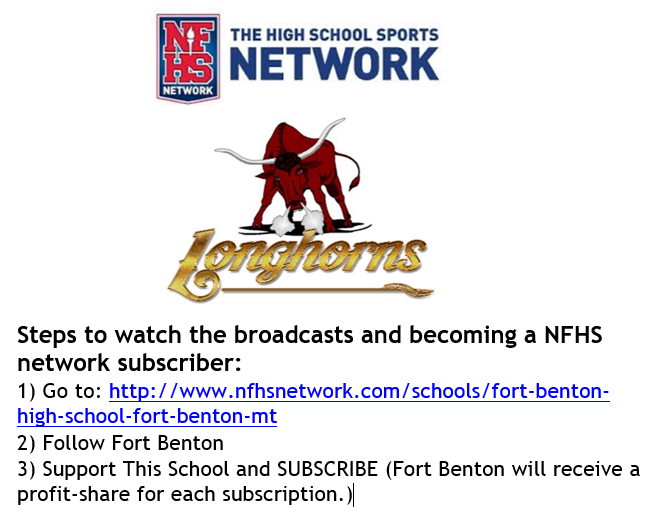 Want to watch Fort Benton's Varsity games at home, on your computer, or phone? Grandparents can't make it to the game? Want to have a recording to watch later? Then become a NFHS network Subscriber TODAY!! !